I hope this 8th week of 2011 found you all healthy and happy! 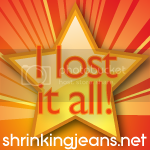 We've come to the end of another awesome Shrinkingjeans challenge. This has been an absolutely crazy week at work. We haven't had internet access for 2 days and between gymnastics meets and swim meets, the evenings and weekends have been a bit packed as well. Here it is 9:30 at night and I'm finally doing my weigh-in post. GAH. Anyhoo, let's take a look back at the goals I set in week 1 and see how I did. Drink at minimum 64 oz of water 6/7 days a week. - I'd say I met this goal, at least 80% of the time. Run 2-3 times a week - met! Last weekend I finally got outside for a 7 mile "long run", but it is looking like this weekend's 8-miler will be on the treadmill. Gotta love Michigan winter - NOT. 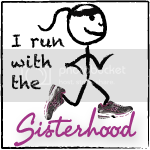 Sign up for my 25k race - YEP! Signed up for this one, and a 10 miler for 2 weeks later. With the Fitbloggin 5k the weekend in between. I'm clearly mental. Do the Shred DVD, EA Sports Active, or some other strength/crosstraining 2-3 times a week. - I've been very inconsistent with this one. I need to be better with the cross and strength work. 25 push-ups and 25 sit-ups after each run. - I started good with this, but then ended up with major shoulder problems. The push-ups went by the wayside, and so did the sit-ups. Fail. Log my food on Daily Plate at least 4/7 days a week. - I did this for the first couple weeks, but then decided my focus needed to be on overall health and eating a well-rounded diet. I'm trying to maintain, not really lose, so I'm trying to do so without active tracking. Lose at least 3 pounds to get back to 135.8 or less. - Nope (well, last week I was there). About 1/2 way thru the challenge, I decided I needed to focus on staying within a range. 135-138. I've managed to do this, so I'm going to call this a modified goal and a win. So, I did manage to stay within my range during the challenge. I would have liked to have been closer to the 135 side, but I'll take this. I really didn't participate in the "mental" aspects of this challenge. Sadly, I feel like I didn't really give the challenge my all. Next time will be better. So let's see how I did this week on the scale. This week is again brought to you by the iPhone instagram app (mostly). Can you tell I really love this app? I'm bananas for banana-flavored nuun - who'd a thunk it? Hi everyone! I saw this on a few blogs this past week or so and thought it would be fun to participate. Basically, we are reading a list of words and answering questions to compare dialects/accents and vocabulary around the country (and also because it's fun getting a chance to hear what our favorite bloggers actually sound like). 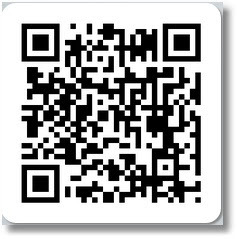 If you want to participate, the word list and questions follow the video. Also, I would encourage you to go check out Mel, Melissa, Brooke and Tiffany on their accent vlogs! Here are the words and questions for you to participate! Now get that flip out and get to work! I'm disappointed. I clearly overate this week, plus had too much salt. I skipped a training run this week because my son had his 1st swim meet and I've been having issues with my hip. Tried to get in to my chiro & he's leaving the country for 2 weeks (he's the team doc for the USA Bobsled Team and they are competing at Worlds in Germany). Needless to say, my weighin pretty much SUCKED OUT LOUD. We've made it thru a whole month of 2011 already! This post takes us into February. Wow. This sweaty momma Kicked Assphalt (i.e. treadmill) today and RAN A SUB-30 MIN 5k!!!! After having a mini-meltdown last night because I was disgusted by how my stomach skin sagged while doing planks (you're welcome) and because my shoulder still isn't better, I'm feeling more up today. I've accepted that my body is going to want to reside in the 135-138 range, but I still hate that it will never be "perfect" in my eyes. It is impossible to lose the amount of weight I have (30 pounds this time around and close to 80 pounds if you count baby weight) without having some extra skin. I need to get over it and I'm trying. I can't say I wouldn't turn down a free tummy tuck, though, if anyone is offering. I'll leave you all today with a few shots of Snowmageddon 2011 :) For those of you living in the warmer areas of our country, this is what you are missing! Stay warm everyone! This week's true confessions are going to take a different turn. Stay with me. I don't typically discuss my faith on my blog. You know, that whole concept that religion and politics are off-limits. I don't know why. Maybe out of fear of offending someone, because I have my own questions, not really knowing what to say in the first place. I know that I believe in God and I know that he is watching over me, but what do I REALLY believe? What is FAITH? How do I KNOW? Do I really understand the awesome power He has? The amazing love He has for us? In any case, I rarely discuss my relationship with God in this forum; however, He really hit me over the head on Sunday. I belong to a LCMS (Lutheran) church and about 4 months ago, our church started a second, contemporary service. Hubs attends both services (he's the chair of lay ministry, so he has to, but would choose the traditional if given the option) while the kids and I have been attending the contemporary service. I have been moved to tears in many of these services. Honestly, it is usually the music that does it. However, this Sunday was different. The sermon was about sharing our walk with God and how it isn't just the pastor's job to teach others about God. Scripture tells us in 1 Peter 3:15 to "Always be prepared to give an answer to everyone who asks you to give the reason for the hope that you have." Huh. Gotta think about that one. What would I say if someone asked me why I have hope? If someone asked me about my personal relationship with God, what would I say? Later that evening, the family went to a church potluck, had some yummy grub (some of it decidedly non-Lutheran even! ), and we watched the most eye-opening video. I was moved to tears (which I tried my best to hide so as to not look like a crazy person). This video made me realize that even in the vastness of God's creation, he knows me and he's always know me. He loves me. He is going to hold me together. I just have to trust him. I am not in control. Like the Psalmist said, "I praise you because I am fearfully and wonderfully made; your works are wonderful, I know that full well." Psalm 139:14. The lecture went on, discussing the enormity of the universe that God created (you can watch the rest of it on YouTube and I encourage you to watch when you have the time). I sat in my seat dumbfounded. How could I question God? How could I advise God? How can I doubt? If God can create the Heavens and the Earth, I should trust that he did a pretty good job with little, insignificant, me. He has created stars that are enormous. Heck, I don't think there is an adjective to accurately describe them! But not only has he created the Heavens and the Earth. He created me. He created every molecule in my body. Every fiber of my being. He will hold me together. I just need to trust.